Be cash payment or bank transfer, we are capable of making transactions using them all. Worry not! We have organized and maintained database to keep a stern check on the transactions made. 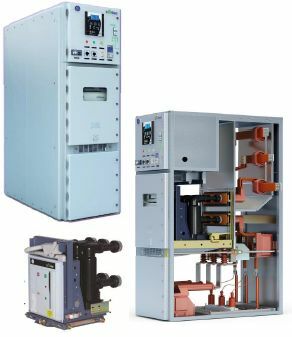 Catering to the requirements of the customers; we are a renowned Supplier of Medium Voltage Switchgear. Indoor, metal-enclosed switchgear designed for the MV section of HV/MV and MV/MV substation. Air insulated switchgear with a compact design. Safe and Reliable switchgear for universal indoor applications. Designed with full metallic segregation of its internal compartments. Equipped with the latest design embedded pole SecoVac vacuum circuit breaker. Cable compartments with ample space for ease of power cable connection. Fully arc-proof unit up to 40kA for 1 second. Tested in accordance with the IEC standards 62271-200. Front panel features easy operation and low maintenance. Complete interlocking system to prevent incorrect operation and to improve safety. Suitable for Industrial and Commercial Market.